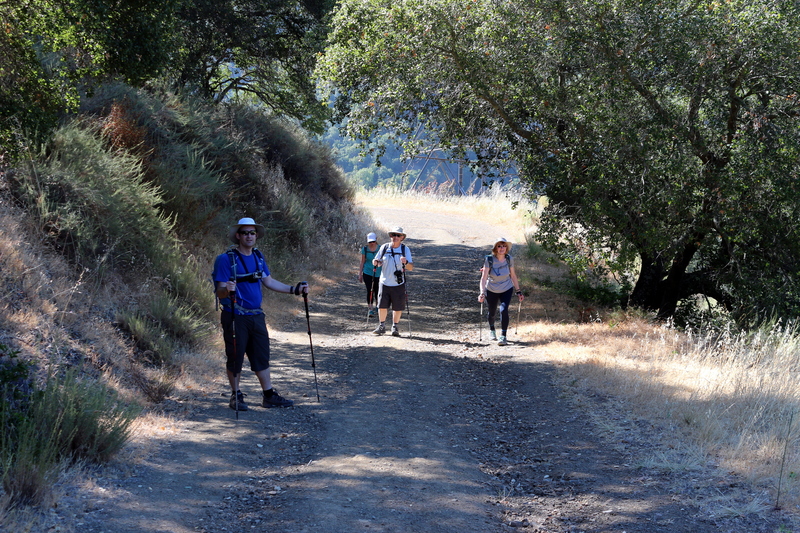 Almaden Quicksilver County Park is pretty much our favourite park to hike. The facilities are great, the trails are varied, it is pretty close, and the parking is easy and free. It also has lots of old mining buildings, structures, and equipment dotted around the park, which I find pretty interesting to look at. The park is mainly dry and crispy right now, but the occasional area is green and covered in trees. 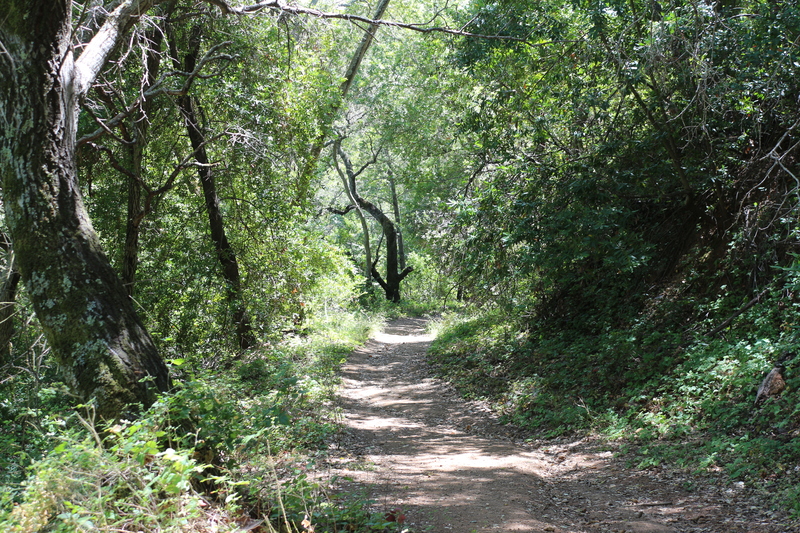 You can find the complete trail map for the park on the sccgov.org website here. We had Andrew’s parents visiting from the UK, so wanted to keep the hike reasonably short and not too strenuous. 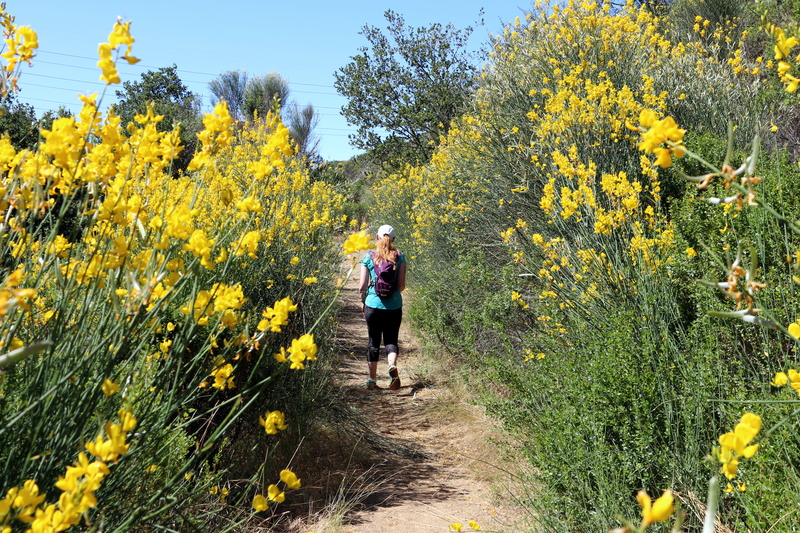 Mine Hill Trail – English Camp Trail – English Camp – Yellow Kid Trail – Yellow Kid Trail (past the Rotary Furnace) – Wood Road Trail – Castillero Trail – English Camp Trail – Deep Gulch Trail. But all the yellow flowers are pretty, so I can’t be that sad about it. The route was partly shaded, but mostly exposed, so we were glad we went earlier in the day when it wasn’t as warm. Even so we ended up feeling pretty hot and sweaty by the end of the hike. 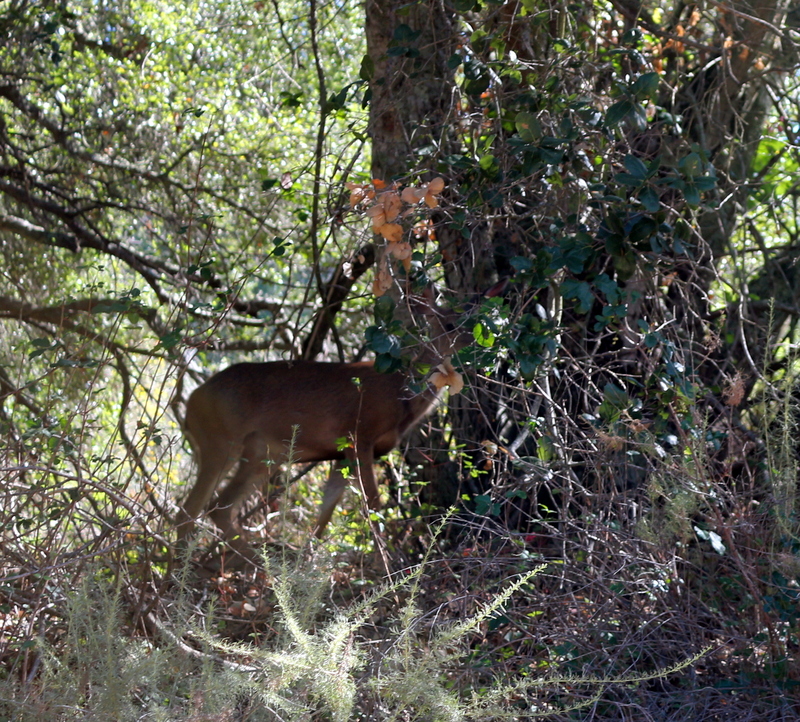 One added bonus was that we saw two deer in the trees! They were kind of photo shy.